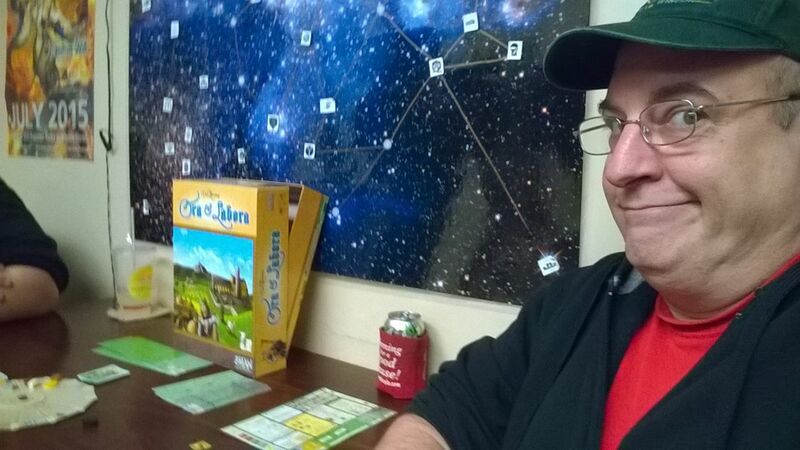 It was only a couple of days after our first go-around with Ora et Labora (2011) that we got the chance to try it again. It was the same players and we took another stab at the Ireland version since we had only dabbled with it the first time. At this stage, I had done a bit more reading on the entire Harvest series by Uwe Rosenberg and decided I need to play the others before 2016 ends. 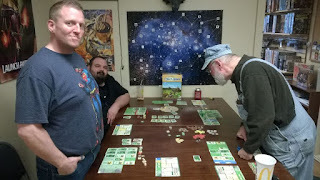 As stated in yesterday's blog, I have played Le Havre (2008) and Caverna (2013), but not the first in the series, Agricola (2007), nor have I played At the Gates of Loyang (2009), Glass Road (2013), or Fields of Arle (2014), though my friend Tom has a copy of this last one. 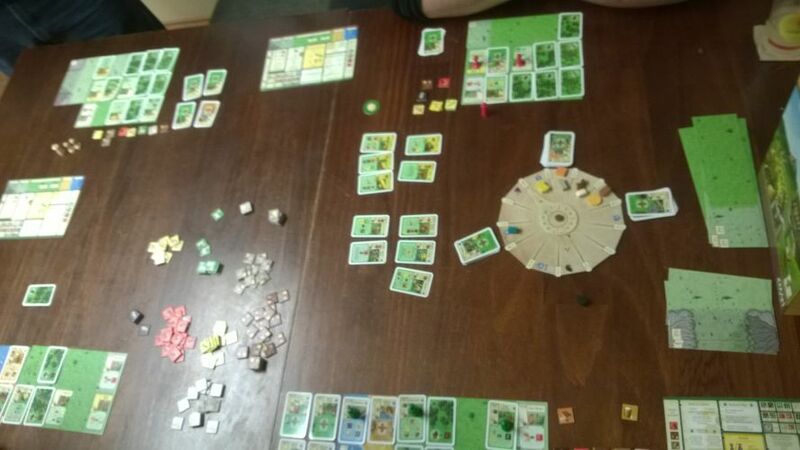 I noticed quite a few games of Loyang being played at the last Gaming Hoopla, so it might be one of the more popular of the series locally despite being one of the earliest. I don't have too much to add from yesterday's overview except to say that the prestigious items (worth victory points) should not be underestimated. In the four player game we played, the scores in other categories were virtually identical with one player winning entirely because of the additional points from those prestigious items and a single wonder. It should be pointed out that the ability to utilize the workers of others was used more extensively in this followup game and that mechanism disallows any player from getting a complete monopoly on production of prestigious items. While it might seem necessary to control their production to gain the lion's share of points from them, I'm not so sure it is. Allowing someone else to control such buildings and paying to have their worker use it for you also has the effect of tying up their worker, which can be an important part of a winning strategy. I'll play this one some more and keep an eye on how that plays out.